On 20 March, four LIV pupils travelled to Oxford University to take part in the Salters Festival of Chemistry. They completed two experimental challenges in the brand new undergraduate teaching laboratories and these were: attempting to solve a murder mystery by using test tube reaction and chromatography; designing an experiment to make a circuit breaker that would cut out after exactly two minutes. These experimental challenges were followed by a practical lecture entitled ‘Hot and Cold’ which demonstrated how properties of materials change at high and low temperatures. During this lecture, the girls witnessed some explosions and even the use of liquid nitrogen! 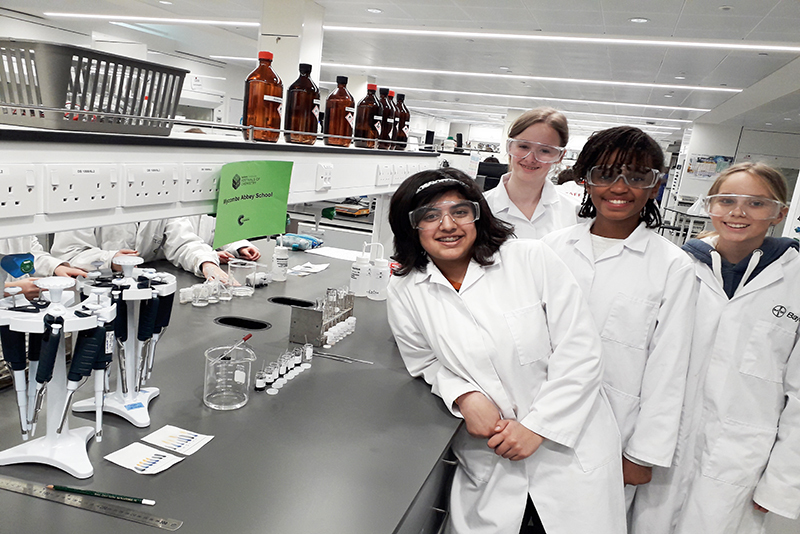 The team worked exceptionally hard and enjoyed being in university laboratories, as well as completing some challenges that were different to lessons at Wycombe Abbey. Well done Anabel, Anna, Wania and Livi.